We hired Ekko to do our kitchen as part of an entire main floor renovation. 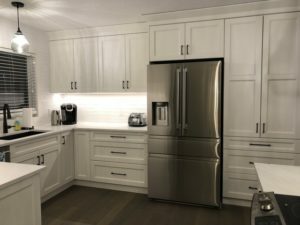 As a tradesperson myself it was very important that we chose a reputable company, I’ve seen too many bad Reno’s and clients getting taken advantage of and losing money on Kijiji renovators. 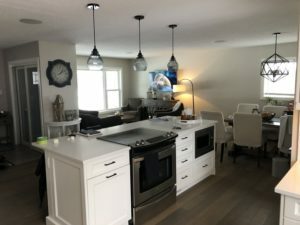 We had three quotes on our kitchen, and although Ekko was the most expensive of the three, it wasn’t drastic and when your talking about your home and quality the money was well spent. 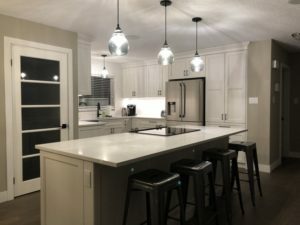 Dave was absolutely unreal, during our initial consultation he listened to exactly what we wanted, and when we sat down to review the design it was exactly what we wanted. Andy the installer was great to deal with, very meticulous and helped us out with a cold air return vent directing it to a better location in the island. We had a few minor issues and tweaks, Andy and Rob took care of everything, and always very accommodating and responsive. All of our dealings with Ekko through the process were fantastic, I would not hesitate to recommend them to family or friends, and have even recommended them to our clients which we take very seriously. 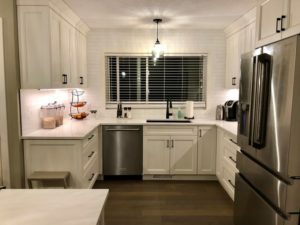 Ekko is truly a hidden gem in the kitchen renovation world!